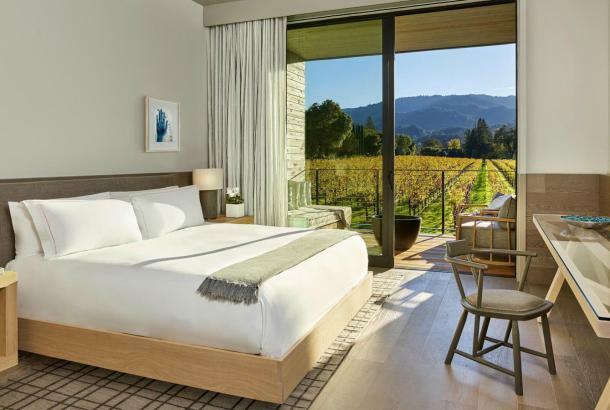 A Perfect Napa Valley Getaway – for Girls Only! Lucky you – the spouse/children have graciously agreed to live without you for three days and now you and your closest gal pals are faced with 36 hours of female fun. 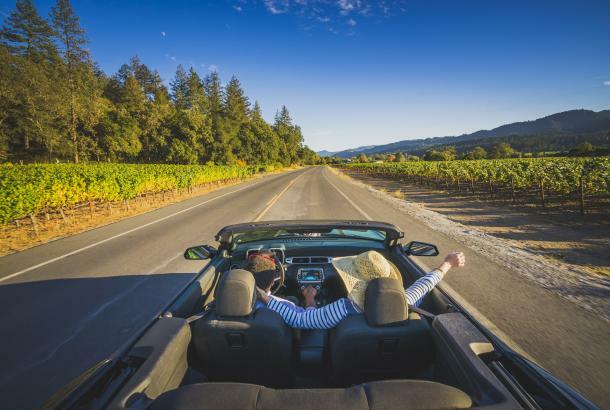 Start in Napa for your first day, and go further up valley for days two and three. 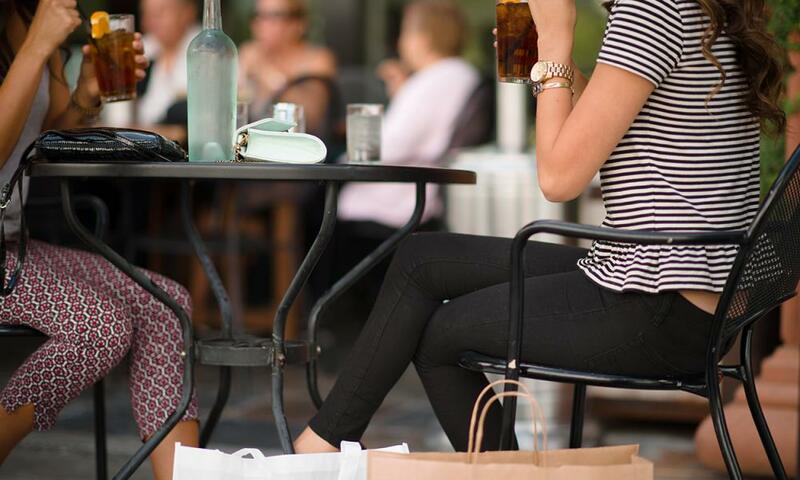 On the way, we’ll point you in the direction of terrific dining, irresistible shopping, a little art, a little froo-froo, and plenty of quality time with your besties. Be sure to bring your walking shoes – you’ll need them. Wherever you’re staying, it’ll be worth your while to head to Oxbow Public Market for breakfast. There’s something for everyone here: Kitchen Door for a sit-down meal (craving protein? 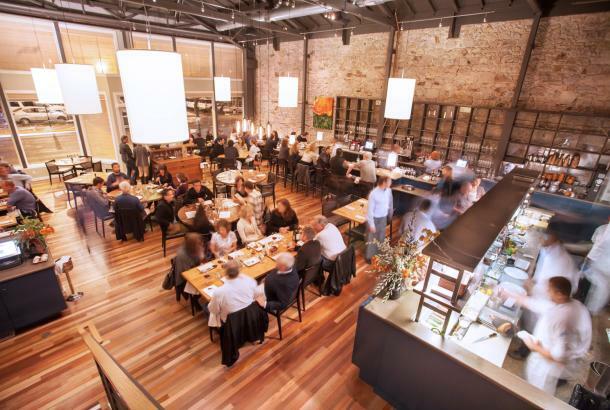 Try the Breakfast Beef Carpaccio or One-Eyed Pig), the Model Bakery, or Cate & Company for amazing gluten-free options. Once you’ve fortified yourself for the morning, walk out the door of Oxbow onto First Street, cross the river on the First Street bridge, and turn left on Main Street. After a block, you’ll find amazing shopping options at Napa’s Riverfront, including Helen Lyall for Women; Marie Lyall Shoes; Ivy, Twig & Twine for the home; and Napa General Store. After so much walking, shopping, and spending, you’ll be more than ready for a plate of oysters and cuisine from the south of France at Angele. Be sure to sit on the terrace outside, where the views overlooking the Napa River will refresh you for the afternoon. And end your day with a perfect dinner at Bistro Don Giovanni – a longtime Italian favorite of Napa locals. Now get back to your hotel for some shut-eye: You’re going to appreciate it tomorrow! If your second day falls on a Saturday, get up early to make Calie Candia’s 9 am yoga class at Bardessono Hotel in Yountville. Calie’s one-hour class will take you through your asanas with spirituality and humor – you’ve never enjoyed a sun salutation so much! After class, you can celebrate your virtuous early start by heading north to St. Helena and a gorgeous breakfast at Archetype (try the Norwegian Eggs or the Lemon Ricotta Pancakes). Now you’re ready for a little shopping on Main Street: Foot Candy, Amelia Claire, and Flats for shoes; Reeds, Mirabelle, Cricket, Pearl, and Daisy for clothing; Patina, Palladium, David’s and AF Jewelers for vintage and high-end jewelry. And peek into Heaven & Earth for a gorgeous selection of hair products, cosmetics, and hair toys. If you’re in need of a quick cut or blow-dry, there’s a cute salon in the back. By now you’re starving again, right? Take Pope Street and head south on Silverado Trail to Rutherford. Auberge du Soleil is the perfect spot for lunch with a view – either the full restaurant or the bar has tables on the deck, where you can enjoy gorgeous, south-facing vistas down the valley. After lunch, head back to Main Street for a little pampering. You can get a great mani-pedi at Polish Salon (be sure to call ahead if you’re a large group) or Design 4 Nails on Oak Street. 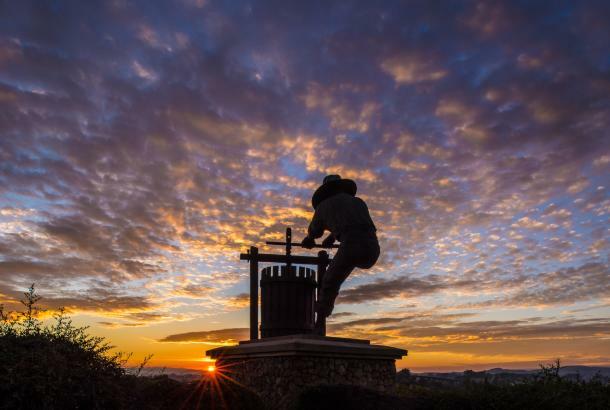 Celebrate with creative, designer cocktails in the garden at Goose & Gander, then head south on Highway 29 for dinner at Harvest Table – the new Charlie Palmer Restaurant at the Harvest Inn. 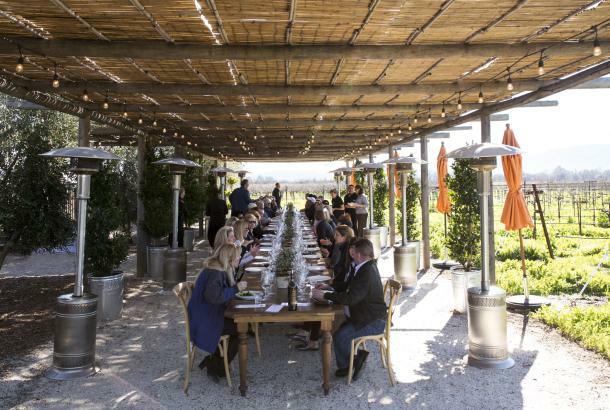 The restaurant partners with some of Northern California’s top artisanal producers, as well as cultivating its own culinary gardens on property. 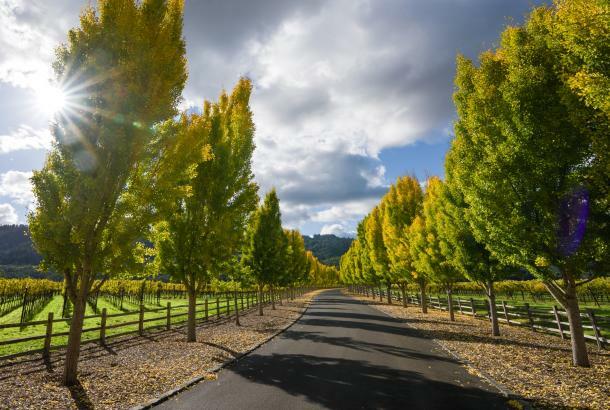 Drive to the valley’s northernmost town and start your last day with an old-school coffee-shop breakfast at Café Sarafonia, voted on Trip Advisor as the “best breakfast in the Napa Valley.” After such a hearty breakfast, you’ll be ready for some more walking, right? That’s good, because Calistoga’s charming and funky main street, Lincoln Avenue, is packed with antique stores and thrift and consignment shop. I dare you to spend a morning strolling here and not buy something! Is it already time to eat again? Yes it is, so drive over to Solage Calistoga on the Silverado Trail for an elegant lunch al fresco and a little bocce ball. Then circle back to Indian Springs Resort, where you can book a facial, massage, or mudbath and get a day pass to lounge in the historic mineral pool or enjoy the tranquil gardens. (Note: Day passes are complimentary when booking treatments during the week, but on weekends they cost $30 in addition to the cost of a treatment.) By now, every ounce of stress from your real life should be a distant memory. Finally, muster the energy and the hunger to enjoy one last meal together before your carriage turns back into a pumpkin. Wander over to Evangeline, Calistoga’s newest restaurant that calls itself “a casual French bistro with a Creole soul.” Sit out on the shaded patio, have a few mint juleps, and dig into a Cornmeal Crusted Soft-Shell Crab Po’ Boy or a Crispy Braised Pork Shoulder. After a weekend of such hedonistic girl-time, you’ll return to your loved ones replenished and recharged. And vowing to book your next girls’ getaway as soon as possible.